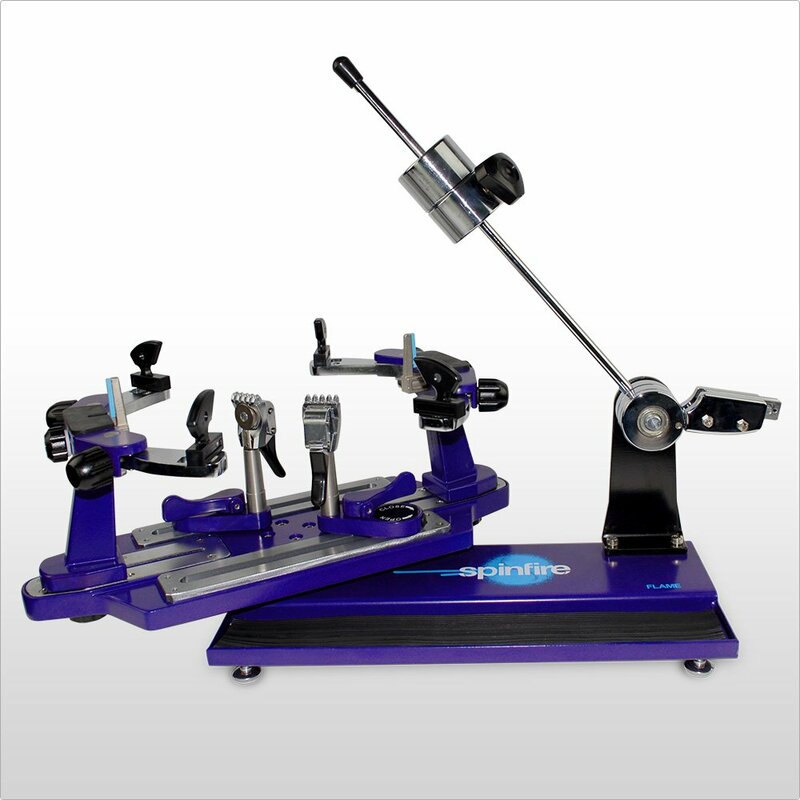 The Spinfire Flame is the premium drop weight machine in the Spinfire range and improves on the Spark by offering fixed clamps and 6 points of support on the mounting system. 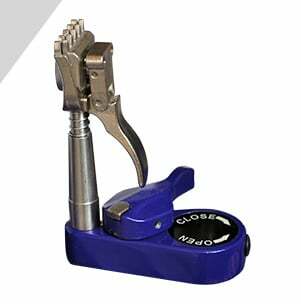 This machine also includes a linear gripper, the preferred gripping mechanism for professional stringers. 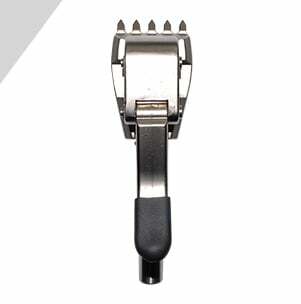 The split weight allows the machine to string tennis, squash and badminton racquets. Drop weight machines require the bar to be horizontal when pulling a string, however, in practice this is not always easy to do. This machine includes an adjustment ratchet allowing the stringer to easily level the bar, saving valuable restringing time. The tool tray has plenty of room for all the necessary tools. For stringers who travel to tournaments or simply don’t have free space to permanently work from, this machine can easily be lifted and moved without much effort. The Spinfire Flame comes with a 2 year warranty on parts and labor.